Premium one-part primer for use with both one and two-part polyurethane & enamel finishes above the waterline. High-solids formula requires only a single coat. Dries fast to create a filled, fair surface that's easy to sand. A single coat is sufficient for most applications, even over bare wood. 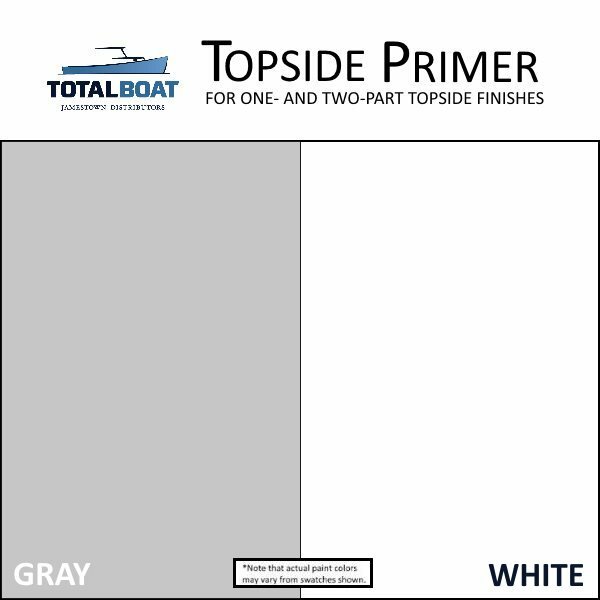 The substantial solids in our Topside Primer create a higher build coating that covers completely in a single application. You actually want to paint it on thinner so the solids can fill any small surface imperfections and dry properly. A thinner coat is also more pliable and able to flex without lifting. When it’s dry, just sand lightly, wipe clean, and apply your topside finish. It doesn’t get any easier. Just remember to spend a full five minutes stirring it well before applying, so you get more solids off the bottom of the can and onto your brush or roller. Or into your sprayer. This versatile primer is a solid, easy-sanding undercoat for both one and two-part polyurethane or enamel paints. If you need to hide larger imperfections first, use TotalFair epoxy fairing compound, then overcoat with Topside Primer before applying your topcoat. 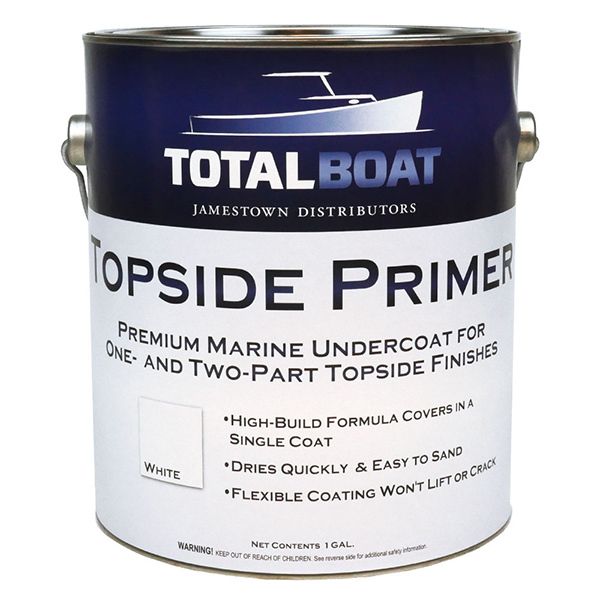 It’s the recommended primer for our Wet Edge, TotalTread, TotalGold, and TotalBilge marine paints. Compared to the competition, it goes on thinner, covers more area, is more flexible, requires fewer coats, and dries faster.